Institutional this, institutional that — the narrative that Wall Streeters are going to pick Bitcoin off its feet has become a rallying cry for many of crypto’s most fervent optimists. However, a damning report claims that the unrelenting push for institutional participation from Coinbase has begun to relent, albeit only slightly. In October of 2018, NewsBTC reported that Coinbase, the San Francisco-headquartered crypto innovator, saw its fifth hired employee, Adam White, leave for ICE-backed Bakkt. 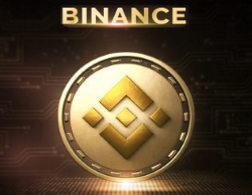 Although this news was initially seen as a hit to the upstart’s institutional arm, as White was primarily behind Coinbase’s Wall Street push, a talented individual was slated to fill the gap. It was claimed that Jonathan Kellner, the former chief executive at brokerage giant Instinet, was ready to pilot Coinbase Institutional’s proverbial ship. Chaparro, citing an unnamed company spokesperson, noted that Coinbase will not be seeing Kellner join its C-suite. Kellner did not respond to The Block’s request for comment, but Dan Romero, a long-time Coinbase top brass member did comment on the matter. Romero, who took Kellner’s proposed role, noted that while Jonathan is an “exceptional leader,” Coinbase thought it right to refocus its efforts on its retail business and hedge fund services, rather than broader institutional-focused products. Hinting that this sudden change was a result of thematic developments in the crypto industry, Romero noted that this sector is “incredibly fast-moving,” adding that market conditions can essentially change on a dime. The de-facto Coinbase Institutional head later explained that his organization’s “focus on mainstream financial brands has cooled off slightly,” failing to mention specific figures. While Romero seemed unfazed, CoinRoutes CEO David Weisberger explained that Kellner’s departure is a “big loss” for the startup. He noted that although Coinbase’s strategy shift is logical, Kellner, with his extensive experience in the financial realm, would have provided much for the company and a number of its key facets. Weisberger added that if the company doesn’t get back on track with its Wall Street push soon, platforms, like Bakkt and ErisX, will make a move on Coinbase’s mostly unquestioned hegemony. Wasn’t 2019 The Year For Crypto On Wall Street? Interestingly, this news comes just weeks after Asiff Hirji, president at Coinbase, claimed that 2019 will be a great year for his firm’s foray onto Wall Street. Per previous reports, Hirji noted that household financial institutions are still clamoring for “valid venues” to transact on, coupled with qualified, regulated custodians. 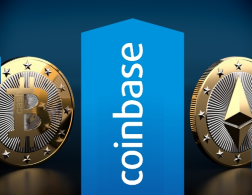 Coinbase, in the eyes of its own president, fits that role perfectly, as Hirji explained that its custody arm and prime brokerage solution are the best in the business. Although it came as no surprise that Hirji would toot his own horn, so to speak, there are other indicators that 2019 was meant to be the optimal year for Wall Street forays. Jeff Berwick, the so-called Dollar Vigilante, recently told BlockTV that he expects for 2019 to beckon in the arrival of institutionally-sourced money, which will “change the game completely.” He told the blockchain-friendly content platform that as institutional capital becomes a common sight in coming months, cryptocurrency prices en bloc will “explode,” as there are presumed trillions waiting on the sidelines. Bakkt, a crypto platform backed by bigwig corporations, recently sat $182.5 million fly its way. Nasdaq, one of the world’s largest financial exchanges, recently announced plans to offer Bitcoin futures in collaboration with VanEck. And rumor has it that Fidelity’s digital asset arm is still on track for a release in coming months. So maybe Coinbase is just overreacting to false flags. That’s what optimists are hoping anyway. 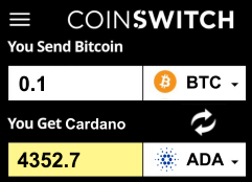 The post Coinbase is Pivoting Away From Wall Street Crypto Push appeared first on NewsBTC.